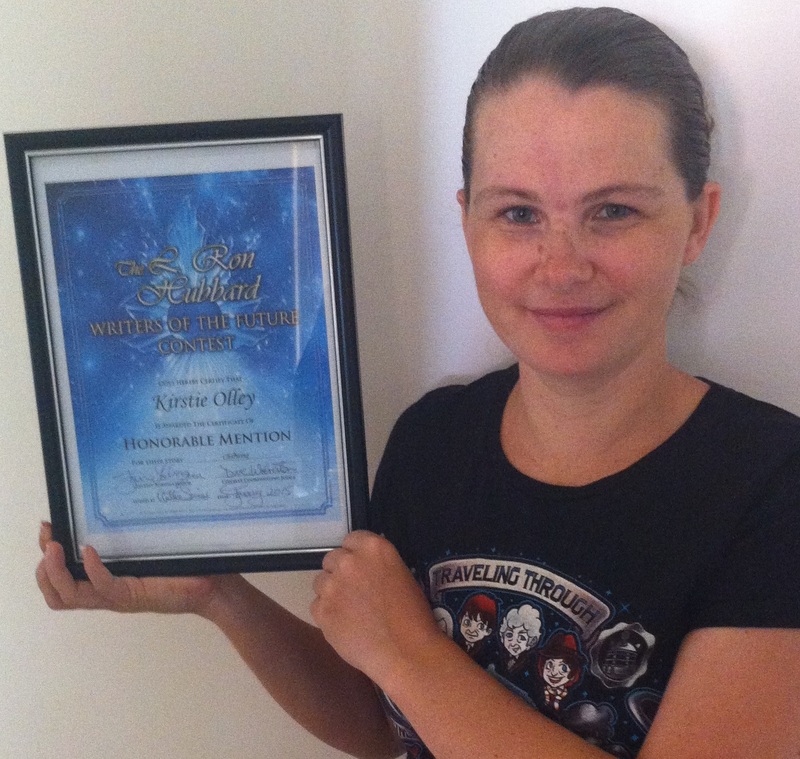 Me and my shiny new certificate. Yes, I framed it. I’ve already mentioned this, but I suppose it was more in passing in a goals round-up than in a big way. So let me rectify that. Last year my (still not yet published) short story, Charming, received an honourable mention in the fourth quarter of the L. Ron Hubbard Writers Of The Future contest. Now I’ll be putting it beside my lovely Redlitzer trophy and my ‘published author’ plaque/desk stand thing. I’m starting to get a nice little collection going. To keep his small kingdom from bankruptcy Prince James sells his services to worried parents and lazy lovers to rescue their princesses for them. His latest mission however, is proving to be his most difficult. Charming is still out there shopping for a home and has a couple of sequels at various developmental stages too. I’ll keep you updated on its progress. About My Books, All Write!